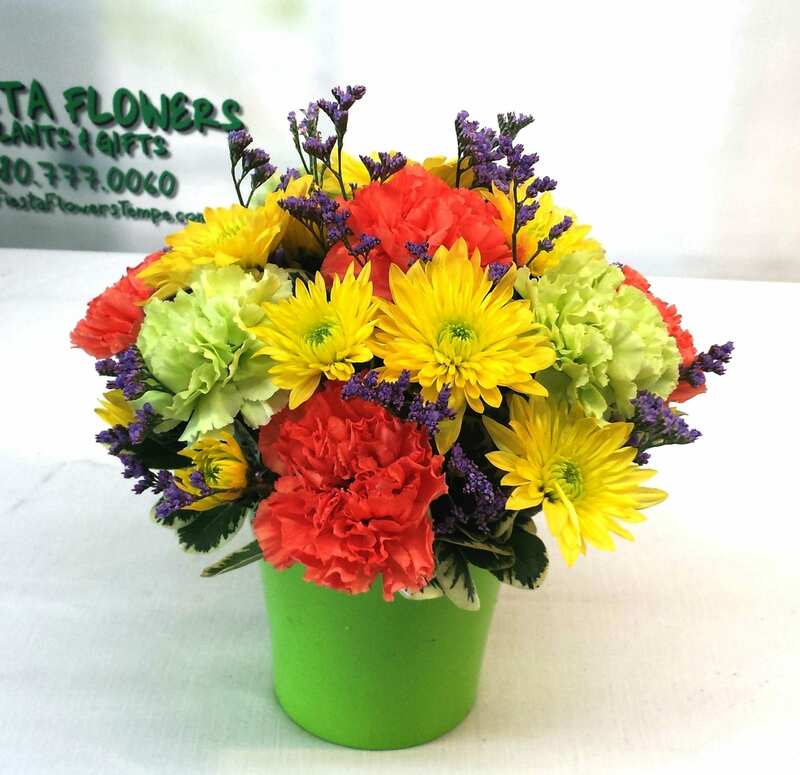 If you order by 2:00 pm in the recipient’s time zone, we can typically deliver the flowers the same day Monday through Friday. For same day service on the weekend please order by 12:00 pm on Saturday. Fill their day with unbridled cheer by sending this charming gathering of roses, carnations, daisy poms and more, hand-designed in a stylish lime green tin bucket.